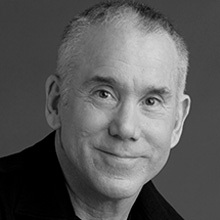 Author of “The Way of the Way of Peaceful Warrior”, Former world champion athlete; Stanford University gymnastics coach; martial arts instructor, and Oberlin College professor. Sustainable success does not require that we dedicate our life to our work, but rather, that we dedicate our work to our life — using the challenges we face at work and at home as a path of personal growth, a form of spiritual weightlifting. According to a Zen proverb, “How we do anything is how we do everything.” The way we approach business, as a competition or collaboration, also reflects how we live. In this master class, Dan presents the Big Picture of success in both business and life. Outside the box of conventional wisdom, and beyond the bottom line, we’ll explore an expanded vision and map to navigate a course toward life-success — 12 key arenas that comprise what we call ‘personal development,’ leading to a long-term way of working and an elevated experience of living mindfully. All this leads to the deepest sense of sustainable leadership at every level of business and life. Discover a clear path to living with your head in the clouds and feet on the ground in these disruptive times — with a peaceful heart and a warrior’s spirit.